It is common for children to have various skin rashes. More often than not, rashes on child’s skin are not a cause for worry. They are often caused by changes in temperature or allergies. However, skin rashes can develop due to a certain type of illnesses. Hence, if your child seems unwell, you are advised to promptly seek medical assistance. 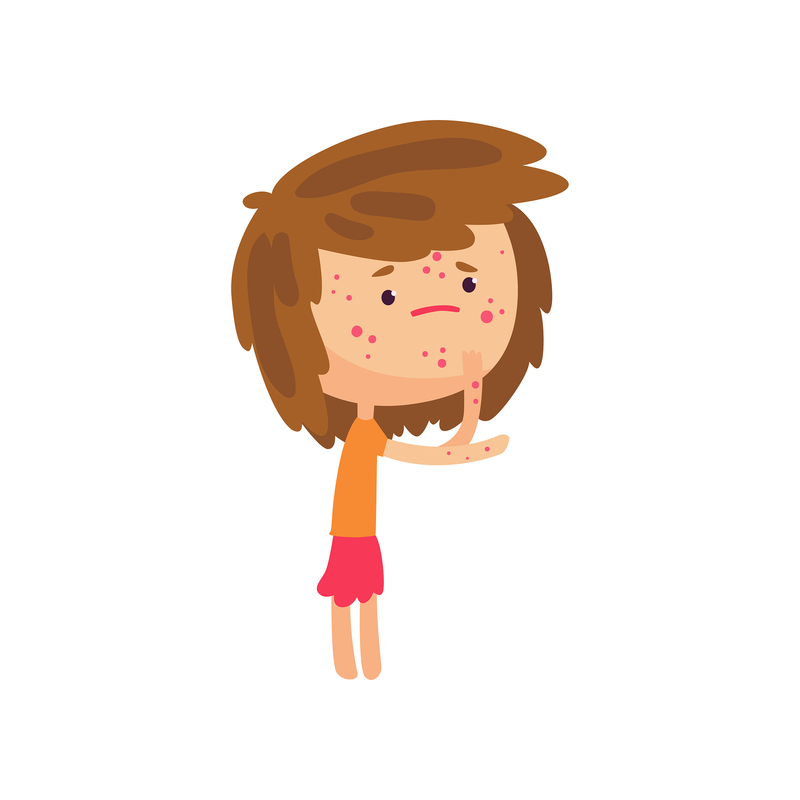 In this article, we shall be focusing on the common types of skin rashes in children. Ultimately, the information should help parents identify the rashes and their causes. Cellulitis is often characterized by red swollen rashes that are often painful to the touch. Accompanied by feverish symptoms, the affected skin area may feel also hot and uncomfortable. As harmless as skin rashes can be, cellulitis needs to be treated by a certain type of antibiotics. This is because this condition, unlike others, affects the inner layers of the skin. Impetigo is highly contagious, and unfortunately, very common. It can occur in two forms: bullous and non- bullous. Despite that each type affects different body parts, they are both characterized by sores and blisters with a honey-colored crust. The good news is that impetigo is often easily treatable through with topical antibiotics. Scarlet fever is a manifestation of bacterial infection that often starts as a sore throat and caused by strep bacteria. Your child may experience feverish symptoms before the rash develops. The rash is often itchy and red in color with sandpaper appearance. Scarlet fever needs to be rapidly recognized and treated with appropriate antibiotics to avoid complications. Ringworm is a highly infectious condition that can affect any part of the body. As the name suggests, this condition often manifests on the skin in a ring-like shape. For treatment, visit the pharmacy for antifungal medicine or consult with your healthcare provider. Scabies is a treatable yet highly contagious skin condition caused by mites. Characterized by red and intensely itchy blotches in various body parts. Scabies can be treated through the use of prescription lotions and creams. Chickenpox is an illness that often a thing of the past due to very effective vaccination. The viral infection is often characterized by itchy spots that may develop all over, or on specific parts of the body. The spots often turn into blisters before drying up into scabs on the skin. Lotions and gels are often used to reduce the discomfort and itchiness. Antiviral medications may be used early in illness to decrease complications and skin scarring. As the name suggests, this skin condition affects the hands, foot, and mouth. This condition manifests in the form of blisters and painful oral ulcers. Notably, it is highly contagious and can be spread from child to child easily. To help the child get better, keep them hydrated, pain control and ensure that they are well fed. Easily categorized as a viral infection, this skin condition manifests into noticeable skin blotches on the skin. It mainly affects the skin on both cheeks, hence the term slapped cheek syndrome. It is often harmless and should disappear in a few weeks. Usually, the illness is harmless and focus should be on treating fever and itching. Children are likely to develop atopic eczema, which often manifests behind the ears and neck just to mention a few. The skin is often dry, red and itchy. it can be treated through the use of skin lotions, creams, and prescription steroid ointments. When children experience an unknown rash and you want quick relief and peace of mind. While there are plenty of things you can do yourself to help alleviate symptoms, the preferred course of action is usually to have an evaluation by a medical professional. Vitality Urgent & Primary care has vast experience in the diagnosis of various pediatric rashes and available 7 days per week. We provide the essential Urgent Care in the comfort and convenience of your own home. Simply give us a call to schedule a time that’s convenient for you.